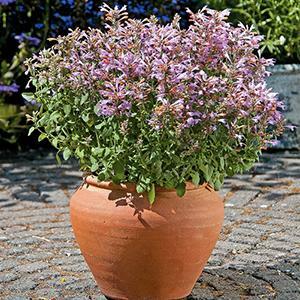 Spikes of lavender flowers with orange centers are held above licorice scented foliage on these compact plants. Pollinator friendly, yet deer resistant. Drought and heat tolerant.